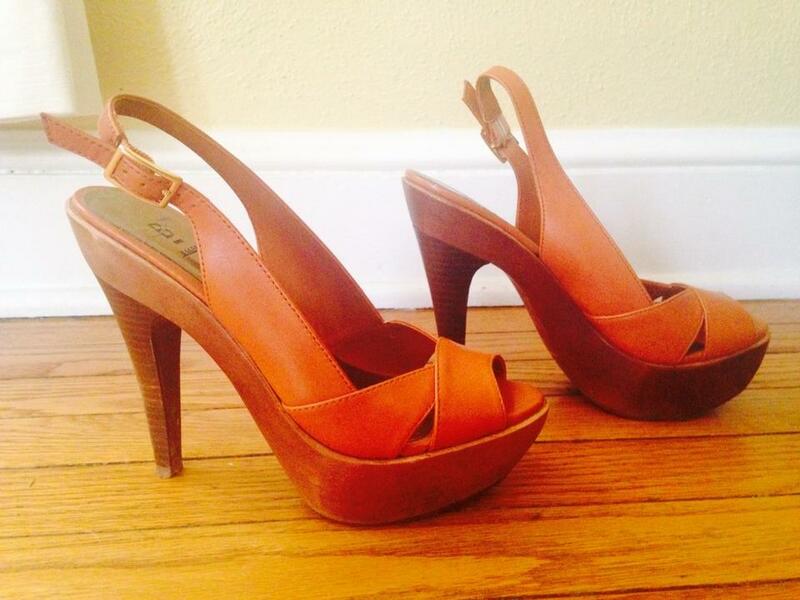 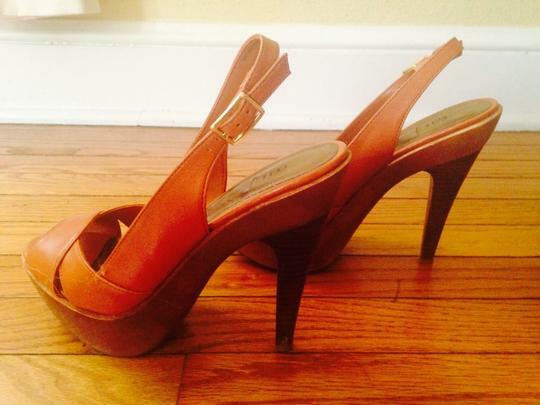 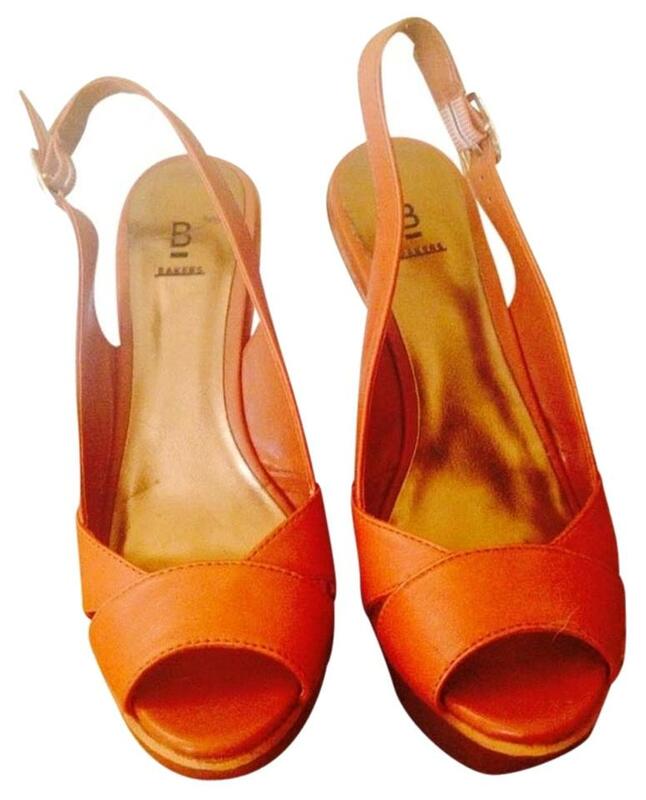 These shoes are a beautiful brown/orange color leather sling backs. 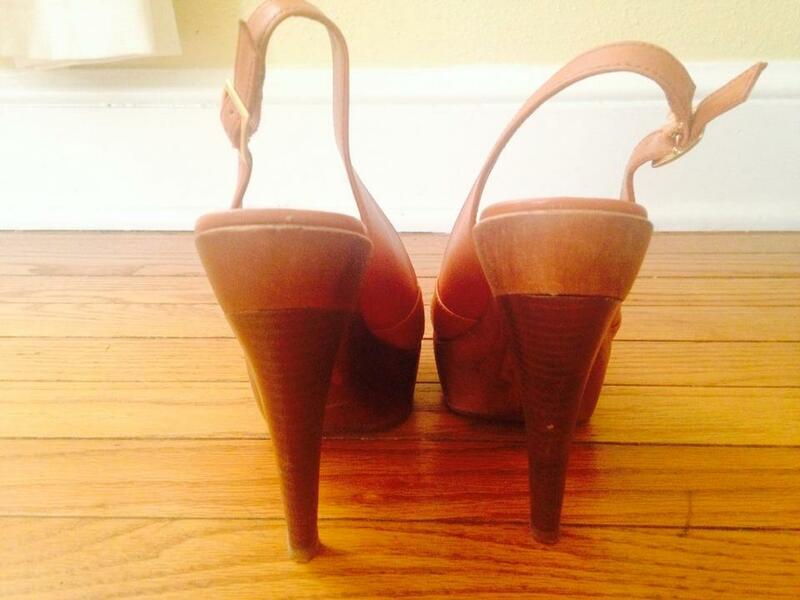 They have a wooden platform and heel. 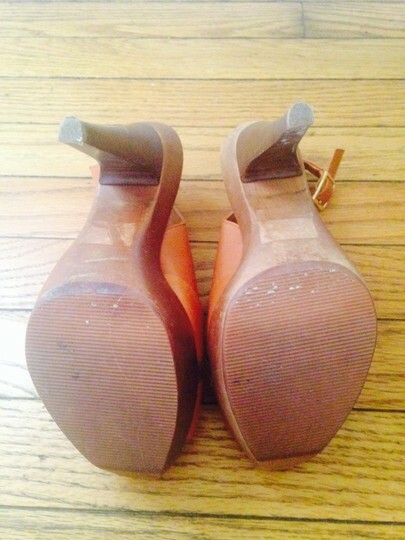 They have slight signs of wear on the sole and have only been worn 3-4 times.